A real subway train.A challenging high-tech game. Stuck on a fast moving subway train, you must figure out how to activate the emergency systems, stop the train and escape... before time runs out! 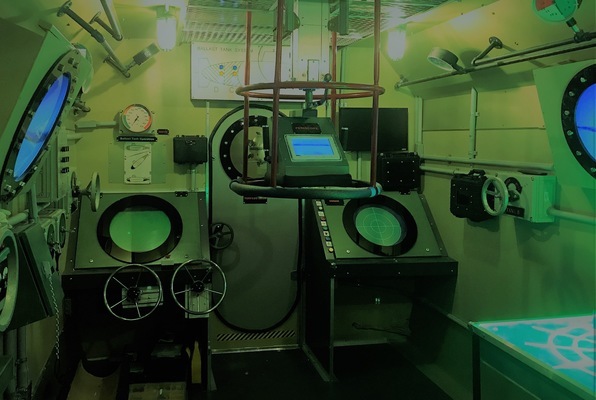 Activate the USS Growler Submarine and use it to eliminate a hostile naval attack on NYC! Enter the world of secret intelligence in this fun and challenging escape game! Your mission is to identify the double agent and find his hideout. Time is of the essence! Last reviews of escape rooms by "Exit Escape Room"
Had a wonderful time as a family. We played Operation Dive and did it as a private event. For 3 people it was priced competitively to have only 3 players. The room was very challenging and the Game Master did an incredible job of keeping the movement and the flow going. There was some minor damage in our room from the previous group. The Game Master negated this challenge and make that "gap" seamless for us. The game was engaging and the staff was incredibly friendly. Don't let the lobby fool you, there is an incredible amount of thought and time put into this experience. One of the better escape rooms I've done and I have done 10+. The Operation Dive is their newest and most techy room. It was a great design and very immersive and challenging, with unique puzzles. Highly recommend it and I will be back to try others. Went for a team-building event and loved it! We had a group of 9 which was full but fit for both the subway and submarine rooms. Our group had a mix of some with experience with escape rooms and other first-timers. The rooms are very well done and challenging but fun! We had so much fun with the subway we decided to take on the submarine right after. I wish they had more rooms. Loved the “high-tech” aspect of the rooms. One of the best I’ve been to.